CONGRADULATIONS to Stan Durkalec of Cottonwood, winner of the Glock 19. The drawing was held at the MMRC Board Meeting on June 16th. 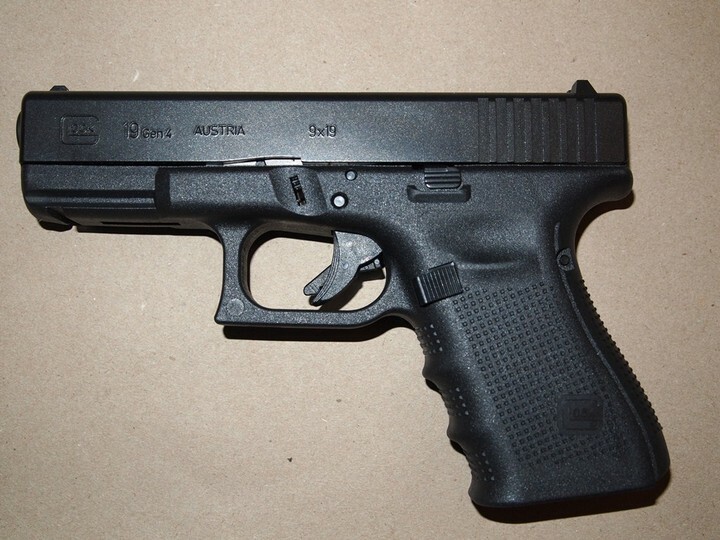 The total price of the Glock pistol was $462.95, total ticket sales was $1175.00 with a net profit of about $712.00. Thanks to all of you supporting this Fund Raiser Raffle. Your contribution will go to Conservative Candidates ! The Glock Model 19 -Gen 4 ---- 9mm Semi Automatic Pistol will be raffled, along with 100 Rounds of ammunition. This raffle will take place at a Mingus Mountain Monthly Meeting after 500 tickets are sold. The winner does not have to be present at the drawing to win. The winner must be an Arizona citizen and is legal to own a pistol/firearm. This raffle is sponsored by the Verde Valley Conservative Coalition, which includes the Mingus Mountain Republican Club, the Verde Valley Republican Women and the Concerned Citizens for America. For tickets please contact one of the fore mentioned groups. Your contribution will go to Conservative Candidates !!! !